A Splendid Messy Life: A Foot in Both Worlds - Guest Post! 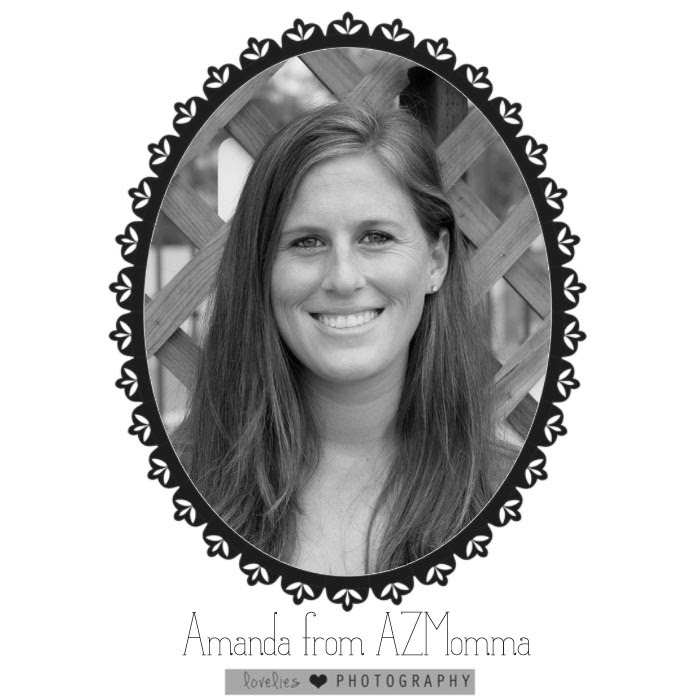 I'm so excited to have Amanda from AZmomma writing a guest post for us today. I hope you enjoy her thoughts on balancing work with being a stay-at-home mom. I recently added another child to my family. My husband was worried about adding another child as we are already busy as can be. Running around trying to keep a 2 year old entertained while juggling around a newborn can be trying at times, but if you plan ahead and stick to a schedule you can get through it. With the third being born we threw around the idea of putting our recently two year old in some type of daycare/preschool for a few hours a week. I don’t like calling it preschool because preschool doesn’t start until they turn three so in my mind it’s really just daycare. But I also don’t like calling it daycare because I am a stay at home mom so why would I send my child to daycare if I am home! As you can probably already tell, I have not settled into the idea of sending my two year old to daycare/preschool. Some days I’m more for it than others, but here’s my dilemma and I’m sure many others have the same. I’m a stay at home mom. That’s what I do. But at the same time I have my masters degree and it’s hard knowing that it will be very hard to make money after being “off the market” for a long stretch of time. So do I send my child to daycare part time and try to keep one foot in each door? Or do I stay at home and try to do what I can to keep myself marketable? For myself I am leaning towards trying to find a job that I can do part time from home to keep me somewhat up to par. It’s not really about adding income to my family now (though it doesn’t hurt!) but it’s more about my well-being and future, but I also don’t want to give up staying at home. Now on the other hand my daughter just turned 2 and is pretty smart. Some days she drives me crazy following me around the house, attached at my leg, asking to help with EVERYTHING, including changing the babies diapers! (I only wish she could ) So it’s obvious she needs something more than being mom’s sidekick. So what have we been doing to try and bridge going to daycare and staying at home as far as helping my daughter learn? Lots of classes! There are so many free classes and programs out there you just need to find them. There’s also some really cool ones you can pay for. I have found some free story times and creative play classes at the local library. In Arizona they have a super cool program where you can check out culture passes and get 2 free admissions to the local zoo or children museum or science museum, but you do have to get to the library early to get them. (Jenn's note: The Toronto public libraries have this too!) But be sure to look at several libraries not just the one closest to you since they all have different programs to offer. I have also enrolled her in some low cost classes through parks and rec where we participate in an art class and gymnastics class. One class that is through a private company called Musicology in Phoenix is a really cool class we go to. It’s an hour long class where she can sing along, play instruments and do hand motions that help make new connections in her brain. Maddy really likes this class and I enjoy watching her participate. The benefit of paying for a class is that the class size is limited. When you go to some of the free classes sometimes there are a lot of people. So for now I will try to keep my foot in at least both doors. Sometimes I only work 1 hour a day which sounds ridiculous, but that is hard to fit in. No matter what you chose for your kids, you know your kids best, and we all do what we can to make things work. SO hang in there mamas and keep chugging along. Our kids are worth it!